These days it is almost blasphemy to say that you prefer backmount doubles to sidemount. Sidemount popularity has grown and grown over the last few years and I have even seen social media threads where divers espousing the joys of backmount are told that if they learnt to do sidemount properly they would feel differently. Well, I have been diving sidemount since 1999 and have trained and dived with many of the most highly regarded sidemount instructors worldwide. My kit has evolved over the years, but essentially I am a fan of the minimalist cave sidemount configuration and it is incredibly comfortable and easy to dive in. So, why do I prefer backmount for some dives? Carrying weight – Yes I know the one about it being easier to carry two 12l/80 cu ft cylinders separately than joined together, but I am a girl. What does that have to with it? Well, I have pretty good core strength and don’t suffer from back problems, so carrying doubles/twinset on my back is fine, but I don’t have enormous biceps (compared to most men) and am only 1.68m/5’6” tall so trying to hold big cylinders clear of the floor while I carry them (particularly going up or down steps) puts a lot of strain on my arms and shoulders. Of course, if a trolley is available either sidemount or backmount is fine :-). 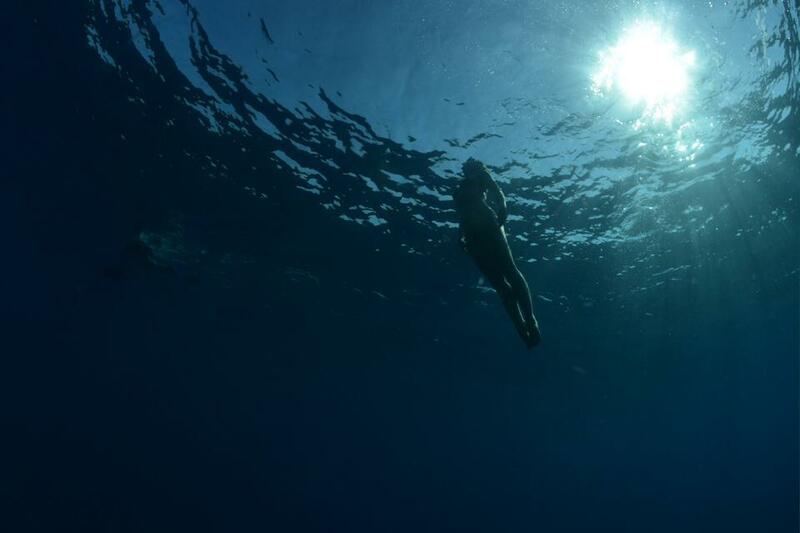 Local sea conditions – Boat diving in the UK (and many other northern European areas) is generally pretty tough. Sea conditions are often choppy (a Force 3 or 4 is pretty normal) and we have big tides. 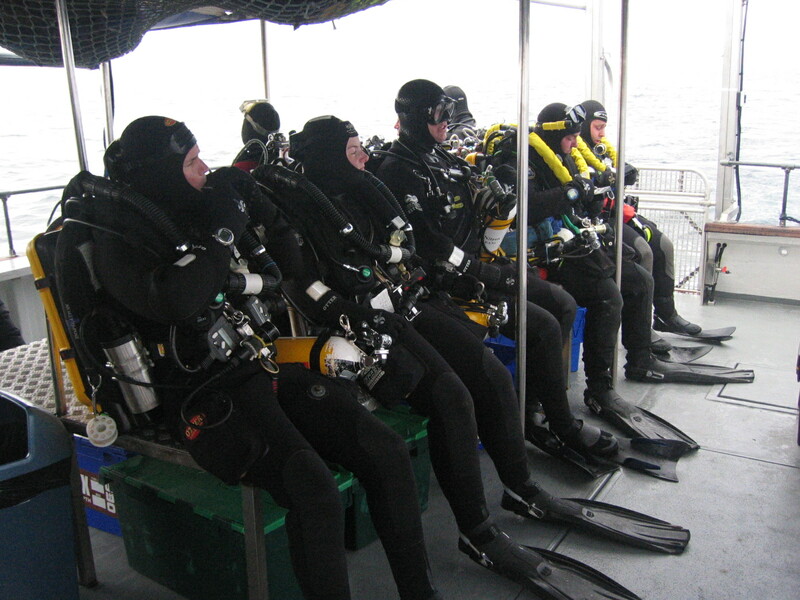 Divers kit up seated and then walk to the entry point fully kitted (including deco cylinders and fins) when it is their turn to enter. The aim is to minimise the amount of time you are wobbling around on the deck with your kit on and I find this easier in backmount, even with a couple of stage cylinders clipped on. The boat has to keep moving so it drops you and carries on, which means there is no chance to hand cylinders in and attach them in the sea. When you hit the water you need to swim directly to the buoy, so skippers drop you in so that the surface current will pull you in the direction of the buoy. That same surface current means that you need to descend as quickly as possible, because holding onto the line is hard work. So, again, no chance to do any kitting up at the buoy. Multi-Stage – I am quite comfortable carrying 4 large cylinders on one side, but I find that if I have lots of cylinders on both sides my ability to reach everything diminishes. Perhaps I have short arms? With backmount I have two cylinders on my back, so however many cylinders I am carrying there are always two that are out of the way and don’t affect my “activity area”. 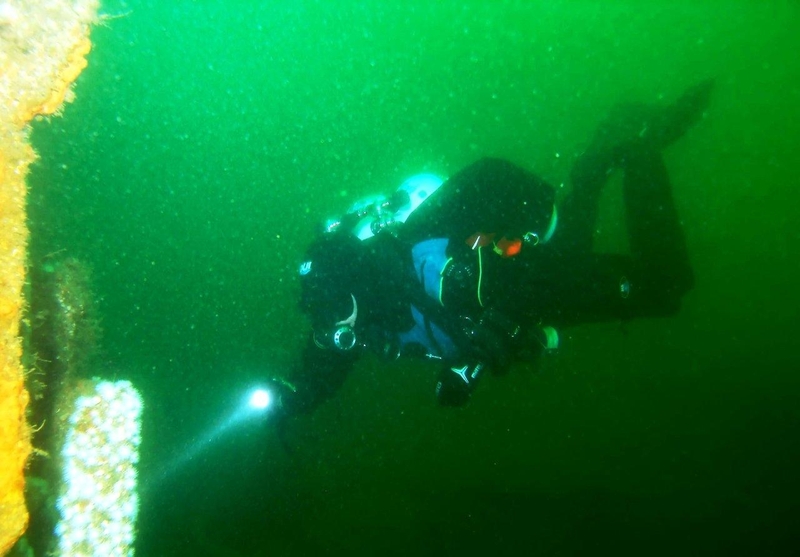 If the dive plan allows staging of cylinders or use of aluminums so that they can be clipped to tail rings – no probs – but if diving with even some steel cylinders and not able to stage, I would probably opt for backmount. Valve Shutdowns – Ok, so I’m not claiming they are quicker in backmount. Sidemount certainly has the advantage here. BUT, as someone who has flexible arms and a drysuit that makes it easy to move, I can easily shutdown, switch regs and open all valves within 30 seconds wearing my full winter kit (Fourth Element Arctic under Weezle Extreme, plus heated vest, drygloves with double under gloces and wrist gaiters) I know, because I put every undersuit on that I owned and timed it when one person asked whether a PADI course performance requirement was reasonable for drysuit divers. So the point is, if you find valve shutdowns easy, there is no negative associated with backmount from this perspective. So where does this leave us? What am I trying to say? There are some equipment choices that are completely inappropriate, for example, a single cylinder at technical diving depths. But, there are also lots of dives where more than one configuration may be appropriate. Sidemount, backmount, CCR? The choice of which equipment to use can depend on many things; if you are trained and comfortable using each type of equipment, have each one available at your destination, then you can really look at the dive plan, logistics, team and personal preferences to make sure you have the best tools for you, for the job and for the particular dive that day. Backmount Sidemount. I enjoy both and switch between both. I’m right down the middle on what to choose. When my back play’s up it’s sidemount. When my Knees are good it’s back mount. UK hardballs, back mount. Red Sea Rib rides and its rough, sidemount. Decision’s, decision’s. Only additional prob with doing both is having all the regulators and different configurations for the set up’s. But then that’s the fun of diving. I love both. I have been diving and teaching sidemount for good few years and I am certified Tec Sidemount Instructor but going back to backmout diving! Back mount is much easier, much simpler and that is what for me is the most important. Simplicity is the key! I have noticed that many divers dive sidemount just to make a fashion statement. Sidemount is interesting and sometimes useful in particular environments but it will never be as simple as backmount diving. I absolutely agree that the dive should dictate the equipment you select. I’ve converted from BM twins to Sidemount for all my standard diving, and i love it, currently wouldn’t choose to dive any other configuration. However, where i see it being particularly different, is once more than 2 stages/deco gasses are required. Up to and including a total of 4 cylinders, i think Sidemount has the edge, but once it goes beyond that, sure it can still be done, but in reality Backmount makes more sense. I am a UK diver and do agree that UK boat diving is a bit more awkward for kitting up in Sidemount, but personally find the benefits underwater far outweigh the kitting up side of things. Cylinders can still easily be attached on the boat and the same waddle down the boat fully kitted works, the biggest problem is going sideways through the dive lift area because of the fins… but it doesn’t make or break the dive… at least not for me. Forget all this nonsense, use what you like, stay safe, stay happy and stay diving….. Thanks for reminding everyone that I am not anti-sidemount :-). In fact I love sidemount and prefer it for lots of dives. 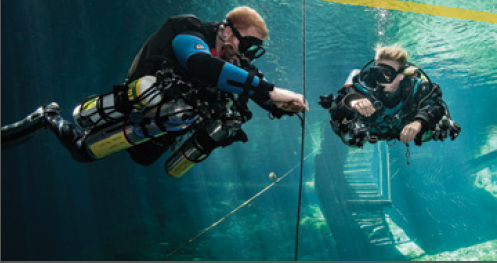 As for the title, I guess it was designed to redress the balance a little – there seem to be many pro sidemount articles and news items out there, but none offering the pros of backmount. I could quite easily have written the article the other way round :-).